Raising Cane's Chicken Fingers Bus Shelter Graphics created for Diane Allen and Associates. 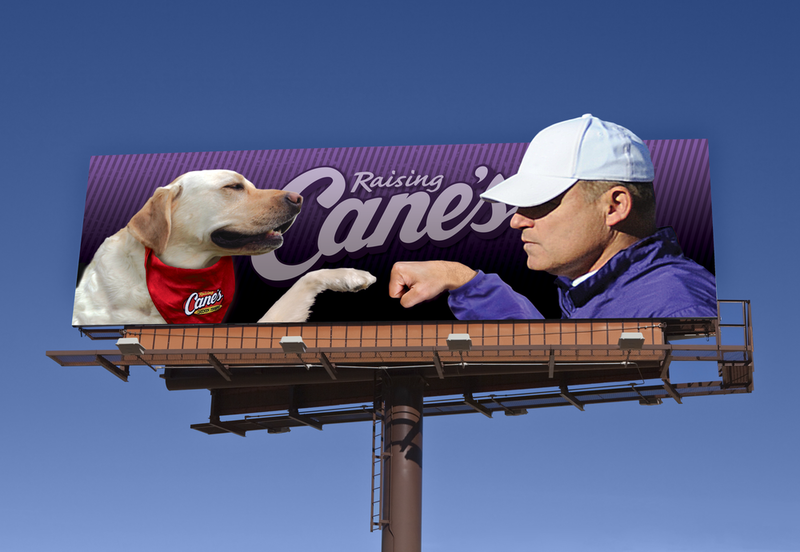 Raising Cane's Chicken Fingers Smartlite Panel created for Diane Allen and Associates. Barker's Antique Jewelry Billboard created for Diane Allen and Associates.